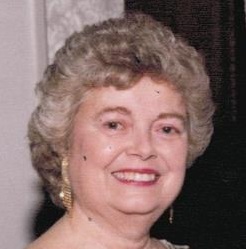 Harris, Rita S. (nee Storrie), March 24, 2016. Beloved wife of the late Nelson G. Harris. Loving mother of Stephen J. (Mariellen), Patricia K. (Patrick) deBarros, David N. (Janet) , Nancy J. and Thomas G. (Pamela) Harris and the late William R. Harris; also survived by 10 grandchildren. Relatives and friends are invited to her Memorial Gathering Friday, April 1 at 11 A.M. Sunnybrook Golf Club, 398 Stenton Ave., Plymouth Meeting. In lieu of flowers, memorial contributions in Rita’s name may be made to The Blind Relief Fund of Philadelphia, 551 Walnut Lane, Phila., PA 19128 or The Woodmere Art Museum, 9201 Germantown Ave., Phila., PA 19118. We are so, so saddened to hear about your dear , sweet mother. Our prayers of peace and sympathies are with each of you. If you recall the Puritan Rd. Kids, I am one of them & used to babysit you. My mother, Jean Rhodes , ( She passed away in 2006 at almost 90.) was a very good friend of your mom,s. One item of interest from their lives; They were very close:, and had sympatico, or ESP. Your Dad was away on business and your mother was about to deliver one of you. My mom woke up in sympathetic labor that nite & knew your Mom was in labor & got her to the hospital in time. We still have one of her lovely paintings. She was a lovely, sweet, accomplished woman. We all will sincerely miss her. Our thoughts and prayers are with you, Kate, and with your family. We are saddened to learn of your mother’s passing. Our thoughts and prayers are with you at this difficult time.